But the recent acquisition of E-harmony purchasing Weddingbee has given me a bit of apathy towards that site. A lot of people have recently left the "hive" due to disagreeing views with E-Harmony. And I totally understand and can see why they left. Some have stayed for the same reason - to prove a point. I'm not a "bee!" but i definitely wanted to be. They had a rule of no more than 8 months out from the wedding date to become a bee, so i was just biding my time. Enjoying what i love to do - Blog... and waiting for my time to come to apply. There were so many awesome brides on that website - you just wanted to be "one of the gang". Well, what i worry about is the integrity of what made Weddingbee so great... An openness, a willingness to accept different stories and to be allowed to post them. I worry that the "ma & pa" shop feel will disappear and this will just be another "corporate business." I love local "ma&pa" shops/diners/dive bars/stores etc... and that was one of the things i loved most about weddingbee. It had a genuine feel to it and some great people involved! I'm sure that Bee, the founder of the site has thought long and hard about her decision and did what she felt was best for her... which is what she needed to do! I applaud her for that. But at the same time, I think she must also realize how it will isolate people from the site. But you gotta do what you gotta do, and I have nothing but admiration for what she built and hope her nothing but success! Weddingbee was one of the best wedding blog sites out there... from classified ads, to city boards, and blogs - so many DIY ideas and pictures and stories...The question is, it was a great resource, so can I go back and peak in once in a while? Or do i maintain my resolve not to return? For now though, I am happy with the readers I do have (thank you guys so much for being so loyal and giving me feedback - I uber heart comments!) I have made some awesome friends/networks from that site and vigilently follow many of the bees personal blogs. And I have found my own outlets for blogging and absolutely love guest blogging on Weddzilla (which is such a great idea and i can't wait for it to really take off - shouldn't vendors come to you instead of brides searching for vendors?) 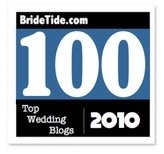 and Get Married's Blogger Brides (the Tv Show's Blog site - which is awesome blogsite as well). If you were part of the hive and I don't have you in my Library Links, please make sure to comment me as i'd love to keep following your personal blog...and if you weren't but found me through there, i hope you make yourselves known - as i love making new blogosphere friends. 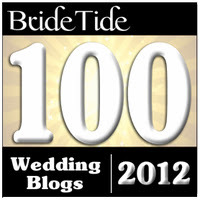 Some of the best ideas i have found for weddings and life are through these blogs ... so i really hope not to lose any of that!!! I must have been uner a rock because I missed "that" big time. No clue that WB was being sold. I love weddingbee. The bloggers and the diy were awesome. I guess all things don't stay great. Once litte companies become big companies it is never quite the same. i'm a big ole lurker on WB but i definitely plan on applying to be a bee also! I'm 11 months out now so soon enough i'll be applying! Hey just found your blog tonight, can't wait to read more! Keep up the great posts! Jaime @ "It's A Jaime Thing"